You can turn left here to see the Marlowe Theatre. 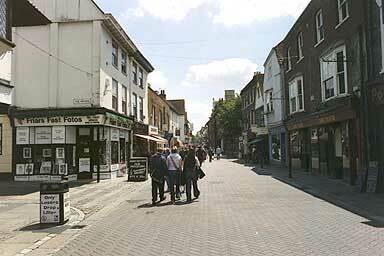 The Theatre stands on a curving road called `The Friars' that leads back into the centre of the city. There's a couple of great views of the Cathedral from the Friars.